Jonas has just released his first ever holiday single “Christmas Calling”, an original song he wrote to help get you in the Christmas spirit! “Christmas Calling” is AVAILABLE NOW on iTunes at BUY NOW. 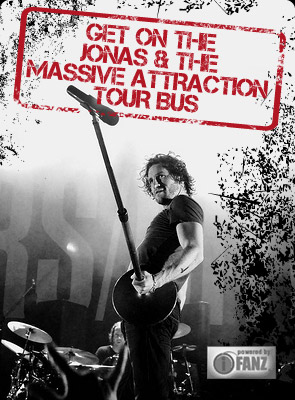 Jonas & The Massive Attraction’s 10th Anniversary album X is also available on iTunes BUY NOW or get your X Cd at BUY NOW.